L.O.V needs the best routine. 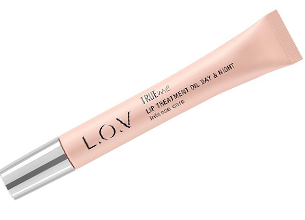 The gel-like non-sticky formulation of L.O.V Lip Treatment Oil infuses lips with caring avocado oil and vitamin E. Nutrition, instant protection, smooth transparent shine: lips indulge in the delicate scent and texture that soothe the senses. It is a great start to the day, and an evening treat, with overnight lips regeneration. Beyond the feel, facts speak for themselves. In a market research test*, consumers confirm the nourishing care benefit of TRUEme after regular use. Twice a day, this non-sticky Lip Oil is sure to give lips the extra smoothness that make them even more kissable. * Nourishing with caring avocado oil and vitamin E.
* Transparent and smooth shine. * Non-sticky gel texture for lip protection and healthy glow.